Protect yourself against any outside forces that may threaten the safety of your home or business with the Defender BlueLine security series. 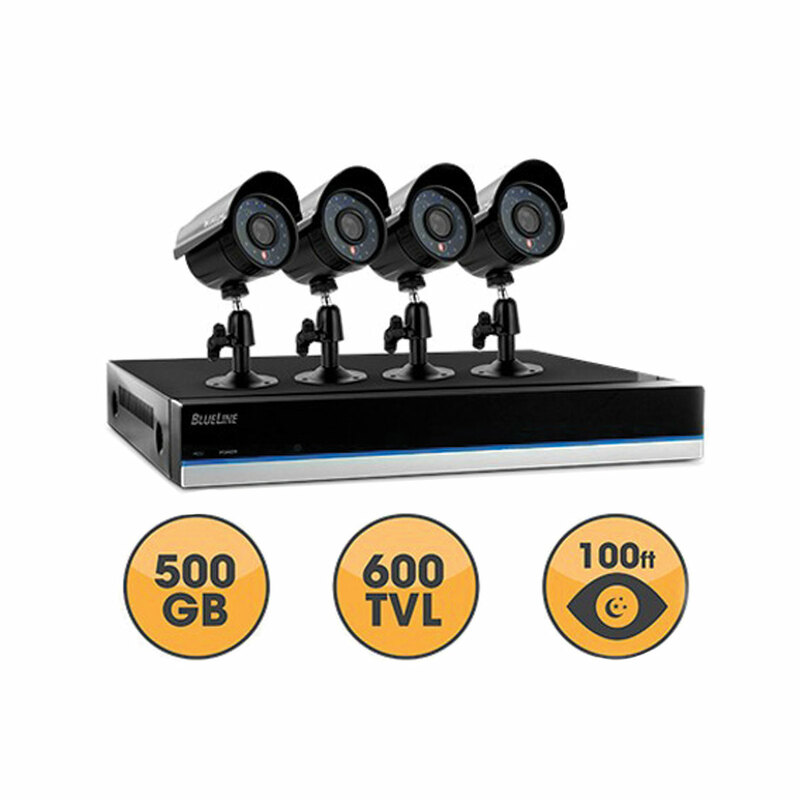 This 8 channel DVR kit comes with 4 ultra high resolution cameras, packed with all the valuable features you need to neutralise any threat and keep your peace of mind at an all-time high. See it all in pristine detail, day or night: ultra high resolution 480 TVL cameras with 75ft night vision leave nothing to the imagination. Defender’s free 1 Step Remote Viewing software instantly networks your DVR with the Internet. View your video feeds live, receive instant email alerts and watch any previously recorded footage from anywhere in the world with an Internet connection on your smartphone, tablet or computer.